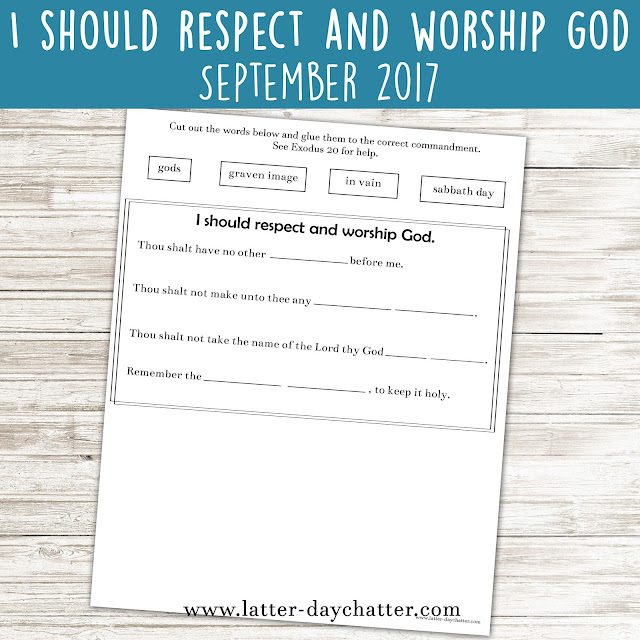 For me, this week is about how we can show respect and worship God. This is done through reverence and I read THIS about reverence and I just love that we show reverence in basically everything that we do. We really have many opportunities in our day to show respect towards our Heavenly Father. What do these commandments tell us? I was hoping to have more for you, but this week escaped me. I hope you can still use this fun cut/paste activity. 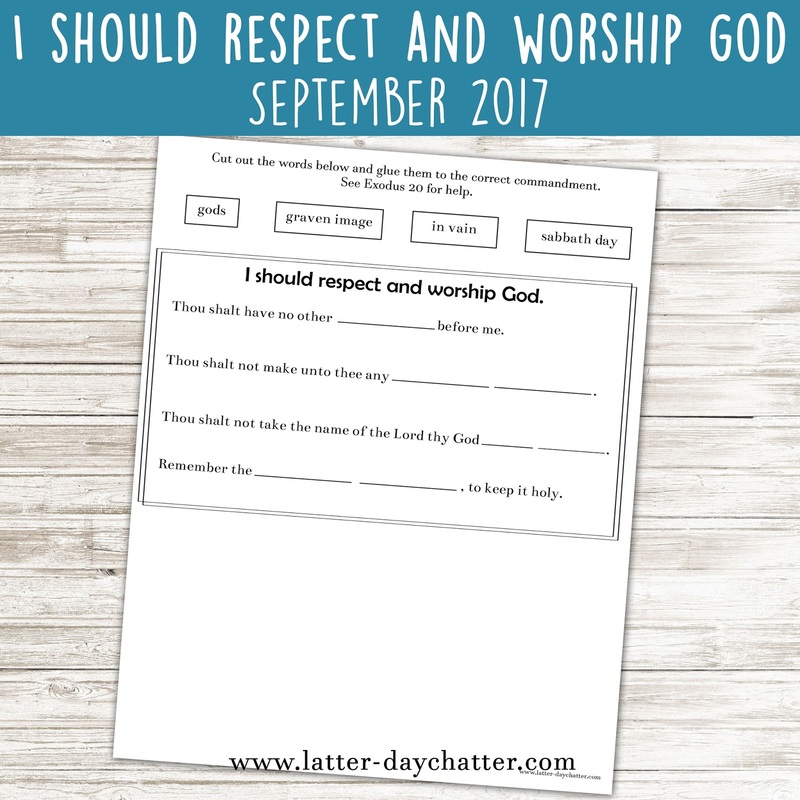 To supplement this, check out Little LDS Ideas post for this week, it looks fun and easy to put together!